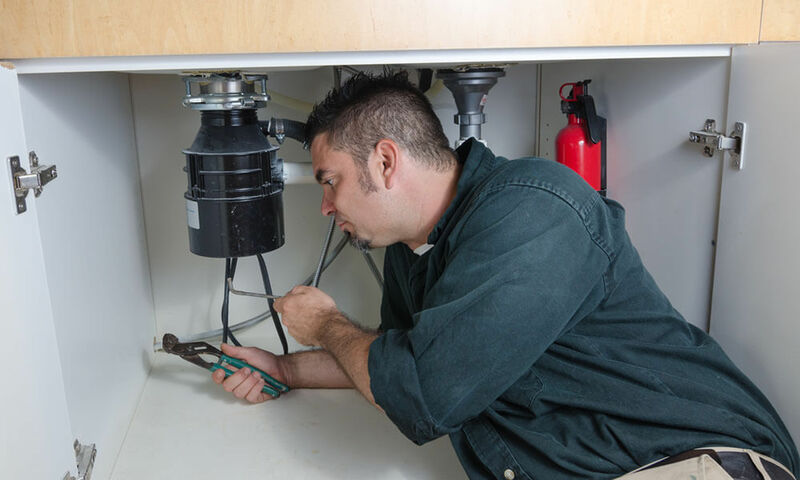 If you are experiencing a garbage disposal problem there are actions you can take before calling a professional plumber. First, make sure you did not trip the circuit breaker on your main circuit breaker panel. Secondly, see if you need to reset the power trip button on the bottom of your garbage disposal located underneath your sink. Resetting the power can often take care of the problem. Note: your garbage disposal and the dishwasher share some of the same plumbing lines. It is not unusual to experience problems with your dishwasher at the same time you are experiencing garbage disposal problems or vice versa. Additionally, It is common for the blades of your disposal to get jammed. This problem can sometimes be fixed by taking a large stick or broom handle and try to dislodge the blades. Items such as silverware can often fall into the drain and become lodged in your system. Always go through the basics of this list before call Newman’s Plumbing Service & Repair, LLC. Have a Plumbing problem that needs to be addressed immediately or need the services of a professional contractor you can count on? Contact Newman's Plumbing Service & Repair, LLC today.